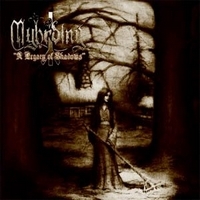 Swedish black metal band Myhrding is back with both new and old songs on their new album A Legacy Of Shadows where they turn up the charming energy with some melodic black metal that could almost be a hit amongst mainstream metal fans. Their attitude is changed, now singer Jimmie Nyhlen has brushed off his voice to be clearer and still black enough to stay friends with the existing fans of Myhrding. The guitar are more balanced now, and briskly they start with Blood Is The Life, a well-written melodic masterpiece of black metal. And then they have the song Myhrding which takes the black metal drive to new qualities with super great guitar play of melodic smiling metal. The Inner Voice also comes in a melodic package of new sound black metal, really great change from their old style. We get the old song Irrblosset och älven in a similar new changed melodic version and with more fresh breeze included. It's not clear why they have changed their style, but even the blackest band can change their music. This is a short teaser for the upcoming full-length debut from Swedish Viking metallers Myhrding. The songs on this self-titled EP are all incredibly short, with the exception of Irrblosset Och Älvan which clocks in at just over three and a half minutes and the almost-four-minute-long Dimmu Borgir cover Alt Lys Er Svunnet Hen. The rest of the tracks are lucky to break a minute and a half and this lends the songs an air of being unfinished. Perhaps they truly are teasers of longer songs? However, crammed into the 14 minute running time of this EP is a real taster of awesome Viking metal. If the full-length capitalizes on the promise show in this EP then we're in for a treat when its released! Catchy melodies and good riffs combined with some excellent snarling vocals give this one a bit of a Dissection feel in parts. I found all of the songs enjoyable and can only say that I would have loved them to be longer! Ok, its a little generic but to be honest I frankly couldn't give a damn when the music is this good. Despite the quality of music on this EP its not really one I would advise you to buy, unless you really want to own that Dimmu cover, and my rating will reflect this. At just 14 minutes long you'd be best waiting for the full album. You can check out the songs on Myspace, so you may as well just give 'em a go there. Hurry up and release the full-length! 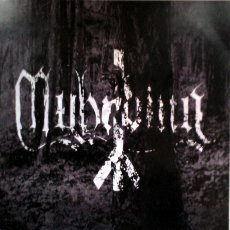 Little news from Swedish black metallers Myhrding, they have earlier released a demo, and now they try with an EP of 4 own songs and a cover version of Dimmu Borgir's Alt Lys Er Svunnet Hen. The style is Nordic paganism combined with black and dark metal in this case is means an outcome where simplicity and sharpness are the keywords to describe what this Swedish band from 2006 are doing. You can almost feel the blood seeping down the hands after scraping the walls attempting to get away from Myhrding, not that they are cathing you, but their music catches you like if you have a pillow over your head and can not get it off. The pressure becomes deeper covering your entire body because of songs that are so simple it hurts much more than you could imagine. It's only 5 songs which are very short, but it gets under your skin in a creepy way that the sharp guitars and pounding drums make. Their last song is a cover version of Dimmu Borgir's basher Alt Lys Er Svunnet Hen, and it's done with great spirit and fighting attitude as the original.